This lovely Scalextric C130 Triumph TR7 model is complete. This highly exciting two-seater sports car proved a great success for Leyland with the legendary Tony Pond driving for them. 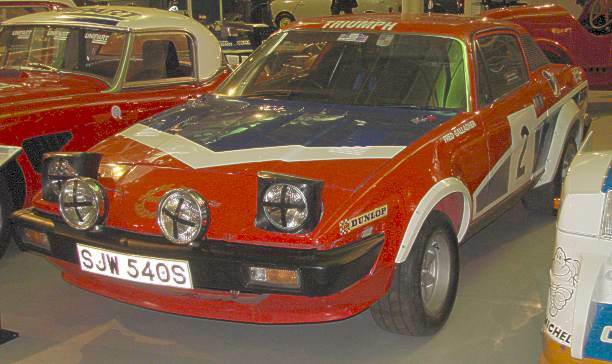 This TR7 carries the new 3.5 litre V8 engine which increased the power and speed of the TR7 to place it firmly amongst the main contenders in any rally. 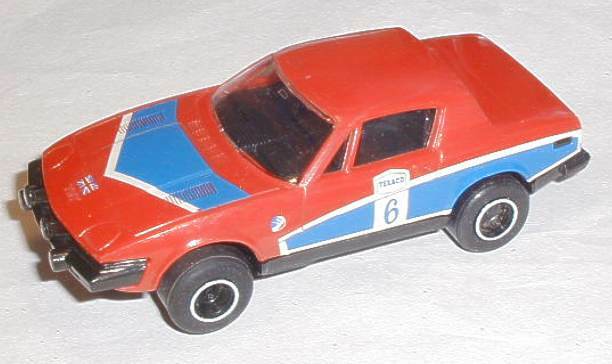 The Leyland TR7 V8 made its rally debut in April 1978 and won a hard fought and fiercely competitive race. Thoroughly cleaned and serviced this Scalextric C130 Triumph TR7 is fitted with new pick up braids and rear tyres. The Scalextric C130 Triumph TR7 has been track tested and runs extremely well with quiet smooth motor and gears. This example is in good condition with all the parts present. The factory applied decals are OK and the front bumper and lights are present. The tyres are in good condition with no cracks or other damage. This wonderful model is a must for any serious collector. 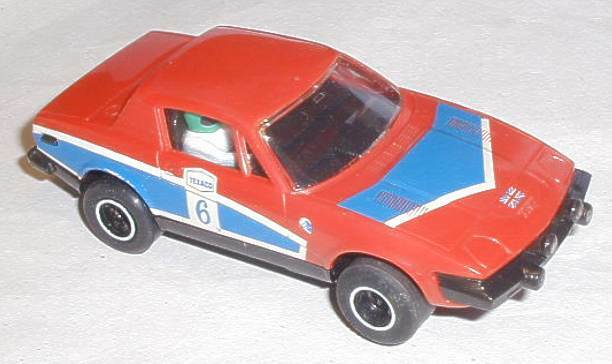 This Scalextric C130 Triumph TR7 car is ready to display or race and would add value to any collection.